West Suburban Symphony Society Music Director and Conductor Peter Lipari is an accomplished leader of musical groups in the United States and abroad. His vibrant styles of conducting and audience interaction win the hearts of concert-goers and reviewers alike. Maestro Lipari is a passionate advocate for a symphony's involvement in the community. In January 2007, he was honored for his leadership in the performing arts in Chicago's western suburbs with a "50 under 50" award from The Community House in Hinsdale. 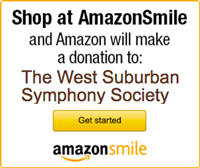 Maestro Lipari's goal is for the West Suburban Symphony's performing groups to be "the finest ensembles of their kind and reach as many music lovers as possible in the western suburbs." Since 2001, he has led those groups to regional prominence and in 2003 took the West Suburban Symphony Orchestra to England for a performing tour that included a July 4 concert in central London. Maestro Lipari is an enthusiastic proponent of contemporary music and has led more than a dozen world and national premieres. 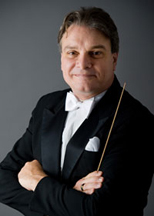 He holds a bachelor's degree in music education from the University of Illinois and a master's degree in orchestral conducting from Northwestern University. He also studied at the University of London as a Rotary International Ambassadorial Scholar, earning a post-graduate diploma in music in the 1980s, and later lived and worked in England for 13 years.